Samsung isn't convinced the glory days of smartphone innovation are behind us. Despite its recent profit warning due to slowing sales, Samsung has published a blog post about some of the innovations planned for future devices. "In light of modest global sales recently, some observers say that smartphone innovation has hit a bottleneck, as new devices bear more iterative upgrades instead of groundbreaking features," Samsung Senior Vice President Hark-sang Kim writes in a new post on the company newsroom. "But with mobile technologies like 5G, AI, and AR maturing rapidly, users will be able to do even more with their smartphones soon. Instead of losing relevance, the next wave of technological innovation will make the smartphone more central to our lives than ever before," it adds. Senior Vice President Hark-sang Kim highlights its upcoming foldable smartphone as one of the biggest innovations on the horizon. Dubbed Galaxy X, the all-new handset will have two screens – a 4.5-inch Cover Display that can be used like a traditional smartphone, coupled with a pliable 7.3-inch Infinity Flex Display that opens like the inside pages of a paperback to offer a bigger screen for playing games, watching movies, or running up to three applications side-by-side. Samsung has teased that its folding Galaxy X will be revealed during its next Galaxy Unpacked keynote presentation scheduled for February 20, 2019. Samsung has already very briefly revealed the foldable screen technology that will power the Galaxy X during its annual developer conference back in November in San Francisco. 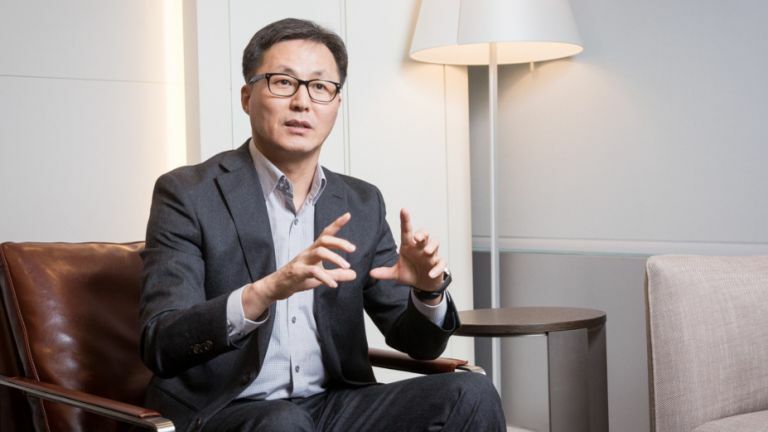 "Samsung is ready to usher in this future and create meaningful experiences for consumers that help them do more of what they love," Samsung Senior Vice President Hark-sang Kim asserts in the post. Interestingly, Hark-sang Kim has hinted at the next major innovation planned for its smartphones in reference to the forthcoming foldable Galaxy X – "We expect to see a sea change in the smartphone form factor in the coming years." "From rollable and stretchable devices to the devices that can fold in multiple ways are no longer beyond the realms of reality." Samsung has already built a foldable flagship phone – with pliable tablets reportedly coming down the pipeline, too. What about stretchable gadgets? Well, Samsung has not made any public announcements about stretchable smartphone displays. extendable displays. In fact, it's not much of a stretch – excuse the pun – to assume that Samsung is planning a extendable OLED display for future Galaxy handsets. Unfortunately, that's it. Samsung SVP doesn't mention stretchable displays again in the post. Instead, Hark-sang Kim summarises: "Smartphone innovation is at the cusp of the next major transformation. "The arrival of the Infinity Flex Display is just the beginning. We will continue pushing the limits of possibility and shape the future as it unfolds."